Last week, I broke down the Kappa Kappa Psi Centennial Logo. 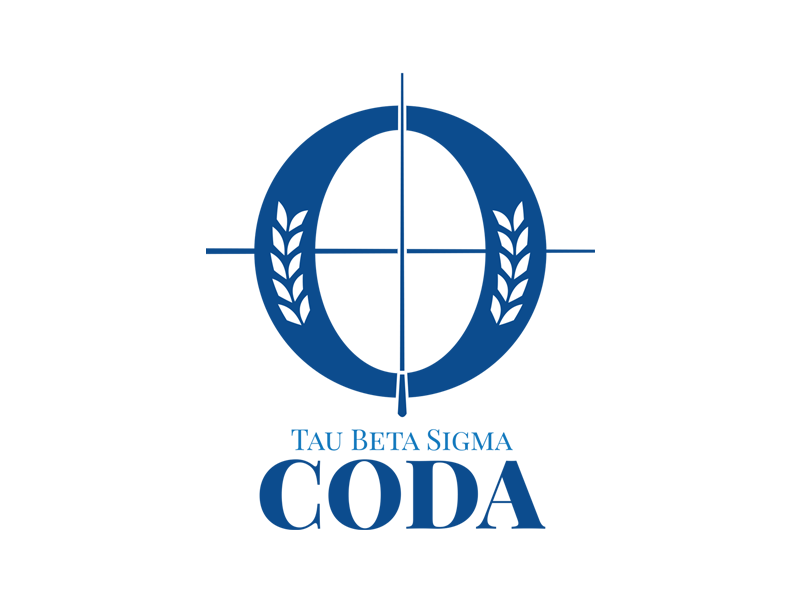 Today, I break down the logo design for the newest Tau Beta Sigma National Program, the Coda program. Have I mentioned I love my job? The opportunity to brand various initiatives of the Fraternity and Sorority is one I cherish. Tau Beta Sigma National Honorary Band Sorority is an organization dedicated to the service of collegiate bands and the promotion of equality and diversity. The sorority operates primarily as a student service and leadership recognition society whose chief aim is to assist the Director of Bands in developing the leadership and enthusiasm that they require of their band. Our goals are not only to provide the band with organized and concentrated service activities, but to give our membership valid and wholesome experiences in organization, leadership, and social contacts. 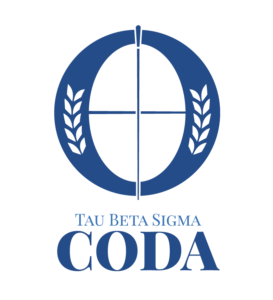 The Coda program of Tau Beta Sigma encourages sisters to work with the elderly population through music. It is similar to the Crescendo program but the Coda focuses on the elderly rather than youth. Coda is a common musical term for the concluding passage of a piece or movement, typically forming an addition to the basic structure. The program’s purpose is to focus on cultivating and continuing musicianship and music appreciation during the “concluding passage” of life. With the Crescendo logo, I analyzed the crescendo symbol on sheet music and thought about applying that inside the logo. The final approved logo referenced the musical term, “a gradual increase in loudness in a piece of music”, by making each letter larger than the next. With this project, I took inspiration from the name Coda and immediately analyzed the coda symbol in music. I recreated the general shape in Adobe Illustrator and added custom laurel leaves on the shape. On the inside, instead of just having 2 straight lines intersecting, I played with the idea of placing a baton in the middle. 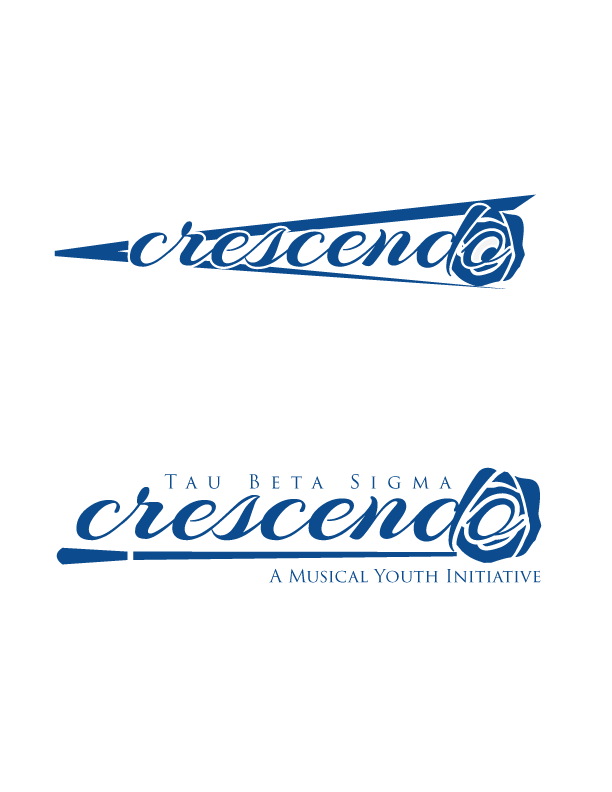 The baton is seen throughout the official Tau Beta Sigma visual brand identity, which I also worked on. I was right on the money with the direction I went, according the National Council! They asked me to extend the axis of the lines to mimic more of the traditional coda sign and try the baton pointing up instead of down. Making those changes really enhanced the overall visual. Extending the axis of the lines made the reference to the musical coda symbol more concrete. The baton is now pointing up from a more active perspective. The text below the logo is in the Playfair Display font, one of the official fonts chosen by the Sorority for use. After all the adjustments were made, the logo was approved! Purpose driven design will always be my favorite thing to see and do.